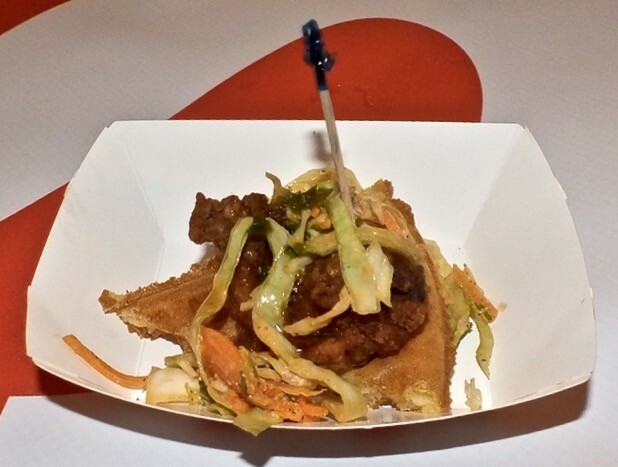 Deconstructed Chicken and Waffle from Iron Press. Photo by Ed Simon for The Los Angeles Beat. Diggerie-doo musicians at the pre-screening reception. Photo by Ed Simon for The Los Angeles Beat.